About Alan - Corporate Entertainment Guaranteed to Top Last Year! Corporate entertainment expert Alan Smola began his career of professional trickery in the year 2000, when he performed his first paid gig at the young age of 10. Over the years, he has quickly become a top pick among the corporate entertainment landscape. 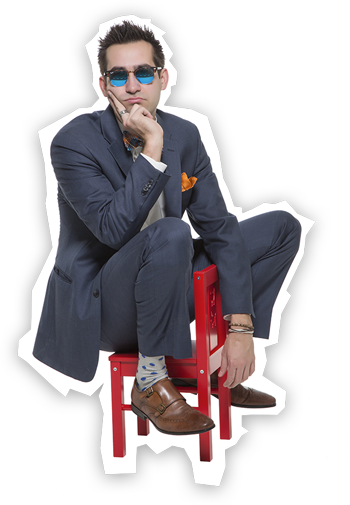 He brings his refreshingly hilarious approach towards magic to colleges, corporations, and countless public appearances all across the nation. In September of 2013, Alan performed in front of his largest crowd ever. Acting as the host and opening entertainer, he commanded the stage at the Target Center in Minneapolis, MN. Alan performed for a packed audience of over 15,000 Target team members at the corporation’s annual fall national meeting. Sharing the stage with him that day were some other performers (we doubt you’ve heard of them) such as The Band Perry, Luke Bryan, Bruno Mars, and Justin Timberlake. Alan is a graduate of the University of Michigan in Ann Arbor, with Bachelor of Arts degrees in both Communications & Political Science. He currently resides in Minneapolis, MN.